I’ve finally recuperated from this amazing weekend. 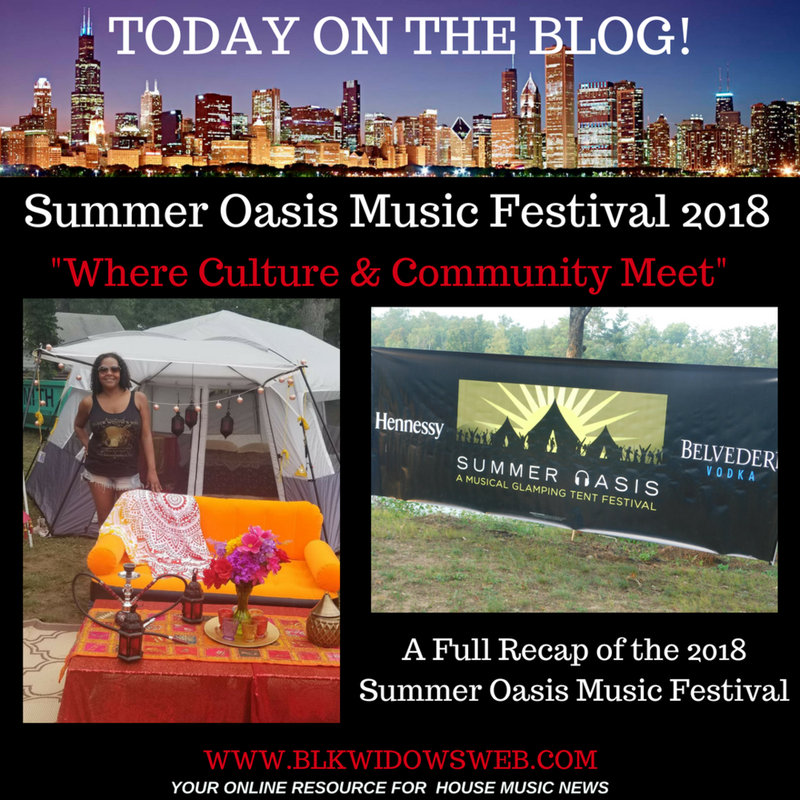 I attended the Summer Oasis Music Festival as their official blogger for the first time and I’m still on an Idlewild high! I haven’t been camping since I was a young girl scout and I’m not an outdoorsy person by any means. So the concept of “Glamping” was totally foreign to me. I spent months preparing for this trip; researching glamping, deciding on a theme and purchasing plenty of camping and glamping essentials (AMAZON Prime was my bestie!) I shared my journey in my series of articles on Summer Oasis (Check them out here) but was not prepared for what I was about to experience. Summer Oasis was everything they said it was and more. The experience exceeded all of my expectations and officially has me hooked! I’m a glamping gal now! The week of the Summer Oasis was busy. I did a practice run with my tent to make sure I could put it up fairly easily (although I still fumbled the day of…lol), finished planning my space (yes I actually created a diagram) and tablescapes, finalized the menu and picked up some last minute decorations. I was a 1st timer after all and I wanted to look like a “glamper”! LOL! I spent Thursday evening packing and prepping my food. As I looked around my garage I thought to myself, “This is an insane amount of stuff!” I was up late getting everything packed and ready. Taking time to pack up your equipment properly and in an organized way saves you an incredible amount of time once you arrive at the campsite. I also spent the evening prepping food; seasoning meat and preparing marinades, cutting veggies and putting everything in Ziploc bags. That was an extreme time saver. I highly suggest planning your meals ahead of time! It saves time and money! Once I was packed, I headed off to get some sleep before it was time to head to Idlewild!!! Friday morning, the plan was to head out early. The drive to Idlewild was easy and traffic free. About halfway there, I realized I forgot to get charcoal and lighter fluid! SMH!!! A quick stop to a local Walmart allowed me to get items I forgot. (Note to self: next year, create a packing checklist and review it twice!) I spent the remaining part of the drive getting prepared to blog and chronicle this event. I was excited! From the moment I saw the “Welcome to Idlewild” sign, I felt a shift inside. I put my phone down and just took it all in. I was in Idlewild, this community with so much history. We were about 5 minutes away when I started looking at the old homes and the dirt roads leading to the campsite. You could feel the history and the stories behind those walls. Long gone were the loud and busy sounds of the city, it was quiet and tranquil. As I pulled into the campsite, some glampers already had their tents set up along with others who were just arriving and unloading their stuff. I felt a tad more comfortable about the amount of stuff I brought after I saw I wasn’t the only one! LOL! It was a bustle of activity as I scurried to get my tent space up. I have an 11 person tent that really needed more than one person to set up. I was struggling in the hot sun. 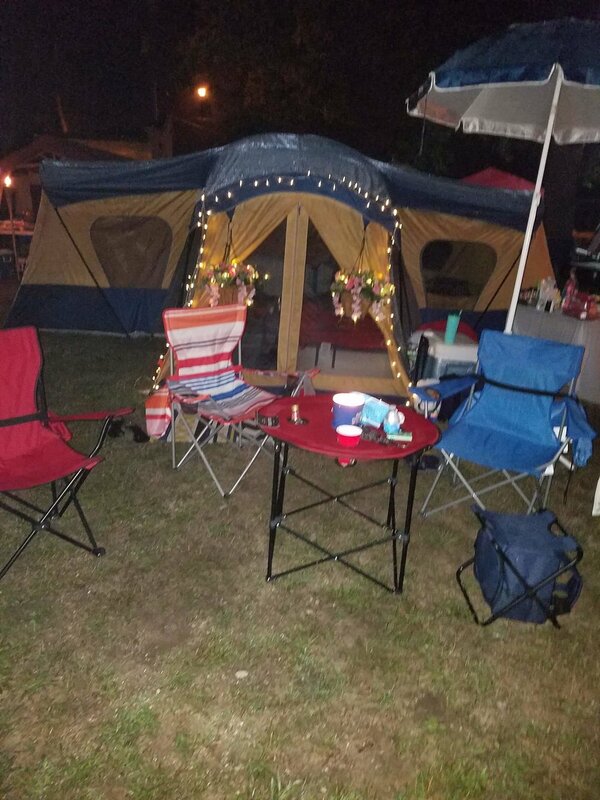 A group of fellow glampers came by and offered to help and got my tent up in no time. I was already feeling welcomed. For the next two hours, I slowly created my Moroccan tent space. I was pretty proud of myself! The girl who claimed to be anything but outdoorsy officially became a glamper! LOL! Friday and Saturday were filled with moments I’ll cherish. I especially loved the VIP dinner Friday Night! VIP Guests enjoyed a beautiful, delicious catered dinner with signature cocktails, The Idlewild Mule and a Hennessey Black Sangria Friday night. Dining along the lake with friends both new and old, feeling the warmth of the flames from the surrounding fire pits was a perfect way to wind down after a day full of activity from putting up our tents and dancing. My days were filled with music and dancing, V-logging, walking around meeting new people, laughter, and hugs. It was refreshing to see us openly greeting one another so warmly. It was genuine, real and it felt good. It felt like a community. There was so much to do during the day; whether you were dancing along the lake to the sounds of the incredible musical talent, enjoying the lake in a canoe, kayak or paddle boat, biking through historic Idlewild, enjoying a nice walk, talking to the locals at the Red Rooster, or just taking a moment to unplug and enjoy real conversations with other glampers, the entire mood at Summer Oasis was beautifully positive and full of love. 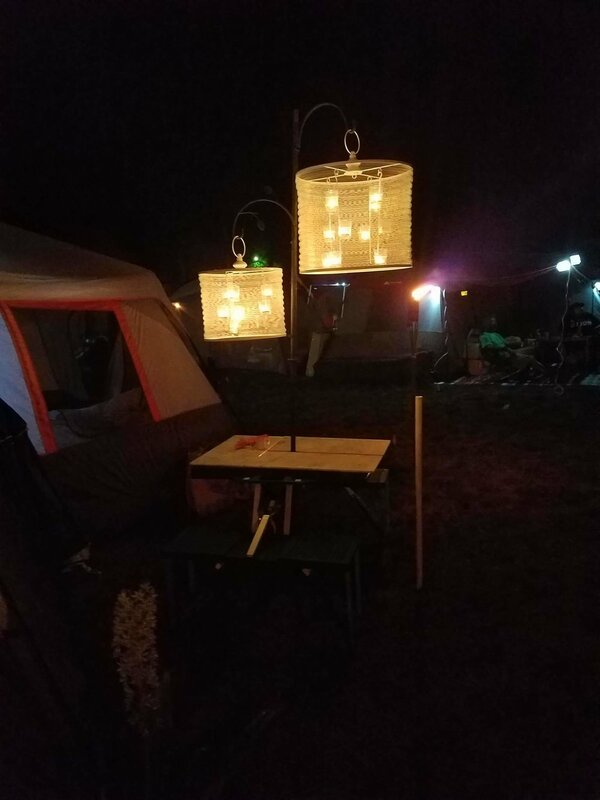 When the sun set and the temperatures dropped, glampers began to light their fireplaces and tiki lamps and the campsite was covered with a beautiful glow under a moonlit sky. It was a beautiful sight. Summer Oasis was a welcome moment of calm in my otherwise hectic and busy life. Now as much research as I did, as much planning as I did and the amount of information I poured into articles for this series, I definitely made a few 1st timer mistakes as a new glamper! Attire: Old shoes are a must because they will get dirty at the campsite. My shoes were comfortable but now they are pretty dirty. I also forgot that it gets colder in the evening and didn’t bring a sweater, jacket or jogging pants. Even if it’s hot during the day, the temperature may drop in the evening. I should have dressed accordingly. Tent maintenance. Tarps, Carpets, a mat and a broom are necessities to keep dust and dirt out of your tent. One of my tarps saved my tablescape when it decided to rain Friday. The rain fell hard for a short time and I quickly threw my tarp over my outdoor tablescape to protect it. Check your equipment before you go! I bought a camping stove and didn’t unpack it until we were on site. It was missing key parts and I wasn’t able to use it at all. Thank goodness I also brought a grill. Bring extras because you are going to share! I only brought a fancy dinnerware set for two. I should have brought extra plates, flatware and cups for the moments I was sharing with my neighbors! Citronella Oil, Wood, Charcoal, Lighter Fluid, Propane Tanks are all items you will use throughout the weekend. Make sure you have enough! Visiting different tent spaces felt like visiting your neighbor next door. The levels of creativity were absolutely outstanding! Glampers really know how to take it to the next level! 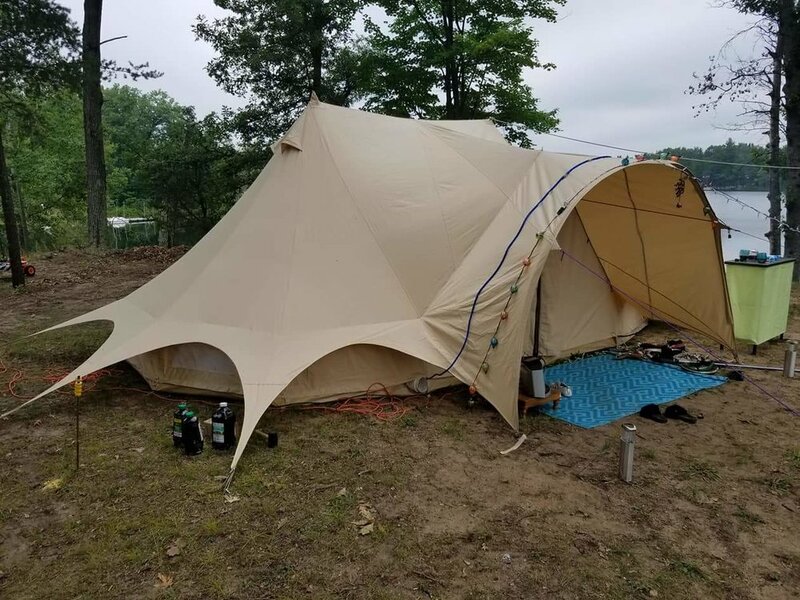 Summer Oasis Founder, Cedric McDougle, set the bar very high with his high-end 4-room tent. His décor was so stylish and chic. My neighbor created a “Miami Cabana” style tent complete with motion sensor lights!!! I was invited by coffee by one of my neighbors and sat with her and her friends and just got to know one another. Another glamper welcomed me into his “Ultimate Camp Kitchen” where he was making blueberry pancakes and sausages using a solar-powered generator and some high tech gadgets! I enjoyed a cigar at another glampers “man cave” styled tent complete with couches and loungers! I enjoyed some Glamper’s jungle juice at another glampers’ bohemian themed space. 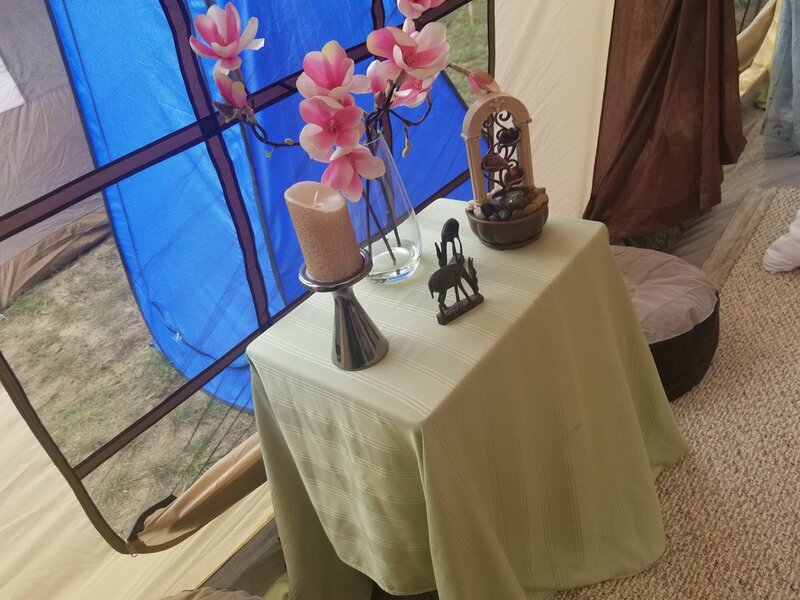 I sat in another glampers serene Zen-Like tent space enjoying the sounds of her tabletop waterfall and listened to jazz in another glampers “studio apartment themed” tent. My own Moroccan themed tent came together pretty well and I had a few new friends over for a late night dessert of Salted Carmel Chocolate fondue! There was no limit to the levels of creativity I witnessed at the Summer Oasis. Each tent was unique and beautiful. and upscale! Glampers openly welcomed you to their tent spaces to admire their décor, share a cocktail or some conversation. It was a beautiful tent community! The music at Summer Oasis was stellar from beginning to end. Sound conductors for the weekend included some of the best in the business. Vic Lavender, Celeste Alexander, Ray Bone, Kris “Jus” Denson, Drake Phipher, Big Easy, DJ Righteous, DJ Kelly Kelz, Steve Maxwell, DJ Spivey, Raynard Hines, DJ Moonlighter, Frances Jay and Jihad Muhammad played exquisite sets that totally set the mood for Summer Oasis. We were also treated to a soul stirring performance by singer and artist, Angel A who joined Vic Lavender during his closing set Friday Night. This festival definitely has a vibe and soul to it that is so unique and special. The sound conductors fit that vibe perfectly. I enjoyed the music from the opening of the festival to the closing. Each DJ was so unique in style and musical content yet together they created a sound with so many different flavors, each pleasing to my musical palette. From the moment, I walked on to the campsite; I could feel the spirit of my ancestors. Looking out at the lake at night was an emotional moment for me. As I allowed my spirit to be still, I could envision Idlewild in the 50s and 60s, full of black people vacationing and partying together. I was on the land my ancestors built vacationing and partying with my people. It felt good. I’d never been to Idlewild before, yet felt an incredible connection to the land I was on at that moment. I truly understand why they called it the “Black Eden”. It was an oasis of love, peace, tranquility and positivity. I wanted to soak in every single moment of this experience. I thought about my grandfather quite a bit. I took a walk my last day there and couldn’t help but shed a few tears of joy as I realized how blessed I was to have a personal connection to Idlewild through him. I wished I could have asked him what it was like to play and party back then. I could only imagine how it felt as a person of color to vacation in a place with other people of color in a world that was anything less than welcoming towards people who look like us. Idlewild was a safe space for black Americans. A place where we knew were accepted and welcomed. Summer Oasis is much more than a music festival or a glamping experience. It’s a weekend where culture and community meet. The feeling I had this past weekend at summer oasis is one that I don’t want to leave my spirit anytime soon. I felt good in Idlewild, I felt at peace, I felt a part of a community and I felt proud knowing I was a part of revitalizing such an historic place. Sunday was bittersweet. I enjoyed myself from beginning to end. If I wasn’t a blogger covering this event, I would have never touched my phone. It felt good to “disconnect” from social media and reconnect with people in real life. It reminded me the importance of real human connections. That’s how communities are formed and sustained. Walking next door and getting to know your neighbors over coffee or cocktails. There was a life lesson in store for me at Summer Oasis. I was reminded of the necessity of taking time to connect with people more authentically. Cedric McDougle and the entire Summer Oasis team have created such an important and special event unlike any other. Love is in the details and you could feel the love throughout the entire weekend; from the VIP dinner, the hand delivered VIP Gift baskets, the musical talent chosen to play this event, the location right off the lake... Extra care and thought went into making Summer Oasis attendees feel part of a family and I appreciated and enjoyed every minute of it. I felt like a kid leaving all of her new friends at the end of summer camp. We said our goodbye’s and shared a few “see you next year”’ between our fellow glampers. I’ve already started to plan for 2019 in my head! I truly understand why Idlewild was called the “Black Eden”. It was an oasis of love, peace, tranquility and positivity with incredible music as its soundtrack. I enjoyed every moment of this experience and cannot wait to do it all over again next year. I’ve enjoyed being your official blogger this year for Summer Oasis Music Festival 2018. I hope you’ve enjoyed my articles and found them helpful. It was so wonderful meeting some of you in person this past weekend as well! I’d love to hear some feedback from you! What did you like? What would you like to see more of? Did you find the Summer Oasis Series valuable! Please send all thoughts to me at blkwidowsweb@gmail.com. Special thanks to Cedric, Terri and the entire Summer Oasis team for allowing me to be your official blogger! I truly enjoyed covering this event and look forward to next year! Thanks again for joining me for this series!